Visit our small London gallery exhibition, we have an inspiring workshop programme, plus automata from our collection, and a selection of new works. Artists include Paul Spooner, Keith Newstead, Lisa Slater, Simon Venus, Martin Smith, Richard Hackney and others. 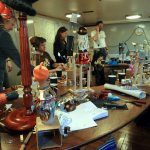 A hands-on, experimental workshop that introduces and explores the creative power of cams and cranks. Using pre-made wood and metal components each participant will construct a cam and crankshaft mechanism. 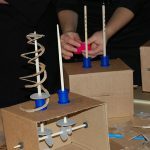 Using this mechanism, participants will learn how to harness the kinetic potential of turning a handle and making static objects come alive. Participants can take their creations home. £12.50 per kit, Book in Advance. 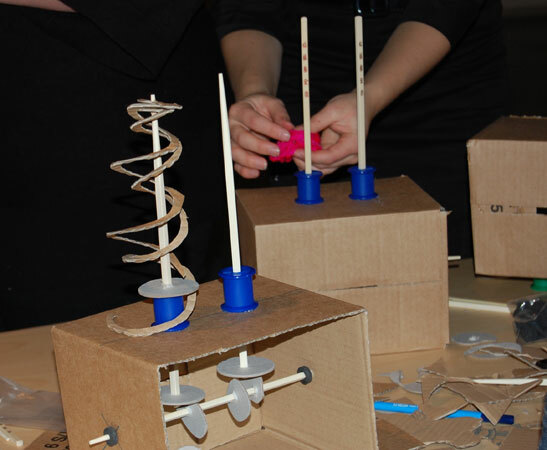 Connect art and technology by making a mechanical toy or automata. 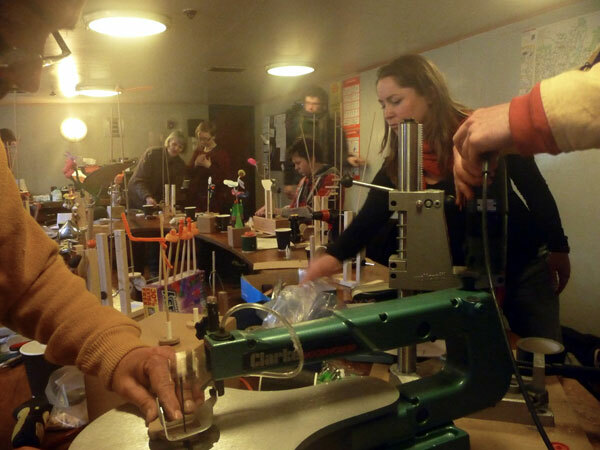 Using a mix of pre-made parts, craft materials, various bits and pieces, and a glue gun, you can make and take home a cam-driven machine which bursts into life at the turn of a handle. 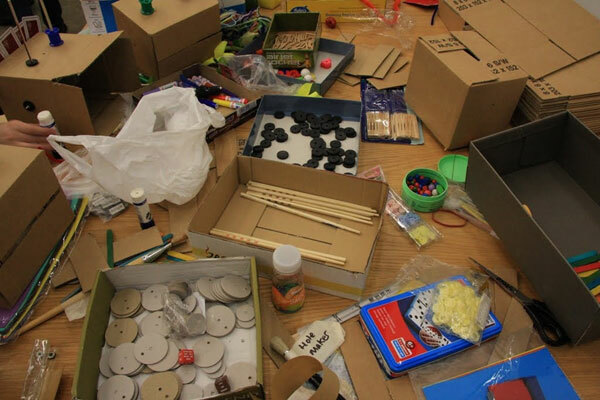 Workshop suitable for all ages over five (under eights will need adult help). £12.50 per person – book in advance. 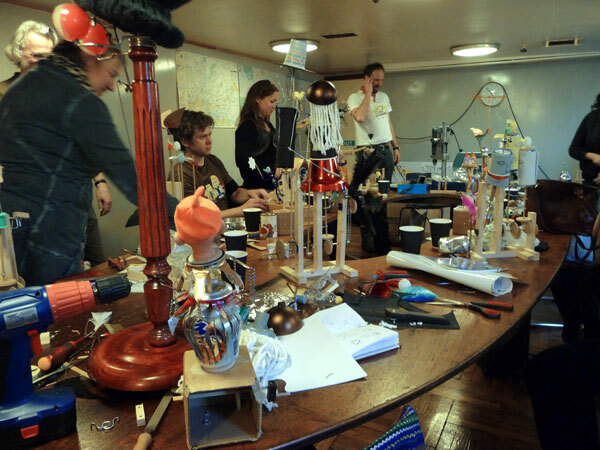 To end the exhibition we thought we’d have a kind of sociable open house workshop, a convivial last blast of automata-making. 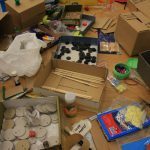 It won’t be formally structured, rather you can dip into the tools, materials and formats of previous workshops, and play around making things move. Hoping you’ll consider a multi-day workshop. I would LOVE to come to the UK and make such a workshop the “crown jewel” of my vacation! Any chance for a longer workshop in the next year. Would love to visit the UK from US! Do you have longer (2-3 days), advanced workshops? and a salute from Israel.